Super Grub2 Disk 2.02s9 stable is here. Updated grub 2.02 build to tag: 2.02 . This is the final stable 2.02 upstream Grub release. supergrub-release-news helps release team to generate a template for its news. Added supergrub-release-changes to help with the release team. (Devel) supergrub-release-news helps release team to generate a template for its news. Initial implementation. (Devel) Added supergrub-release-changes to help with the release team. (Devel) INSTALL: Improved explanation about what release scripts and file outputs. Default theme starfield is no longer included. This will make images smaller. (Devel) Make sure normal isos and standalone images have hash files without its full path. (Devel) Now MD5SUMS, SHA1SUMS and SHA256SUMS files are generated as part of the official build. (Devel) New supergrub-all-zip-file script: Makes sure a zip file of everything is built. (Devel) supergrub-meta-mkrescue: Build everything into releases directory in order to make source code more clean. (Devel) Properly support source based built grub-mkfont binary. New options were added to chainload directly either /ntldr or /bootmgr thanks to ntldr command. They only work in BIOS mode. 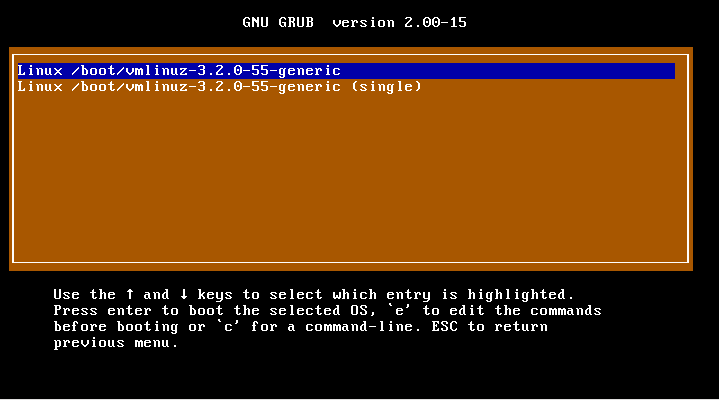 Using upstream grub-2.02-beta3 tag as the new base for Super Grub2 Disk’s grub. The upstream Grub crew. I’m subscribed to both help-grub and grub-devel and I admire the work you do there. Necrosporus for his insistence on making Super Grub2 Disk smaller. The person who writes this article is adrian15 . I think we won’t improve Super Grub2 Disk too much. We will try to stick to official Grub2 stable releases. 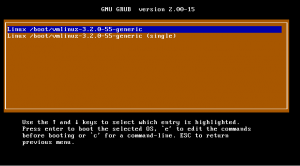 Unless a new feature that it’s not included in official Grub2 stable release is needed in order to give additional useful functionalities to Super Grub2 Disk. I have added some scripts to Super Grub2 Disk build so that writing these pieces of news is more automatic and less prone to errors. Check them out in git repo as you will not find them in 2.02s8 source code. Old idea: I don’t know when but I plan to readapt some scripts from os-prober. That will let us detect more operating systems. Not sure when though. I mean, it’s not something that worries me because it does not affect too many final users. But, well, it’s something new that I hadn’t thought about. Again, please send us feedback on what you think it’s missing on Super Grub2 Disk. I want to focus on Rescatux development on the next months so that we have an stable release before the end of 2017. Now I need to finish adding UEFI features (most finished), fix the scripts that generate Rescatux source code (difficult) and write much documentation. Super Grub2 Disk 2.02s8 stable is here. 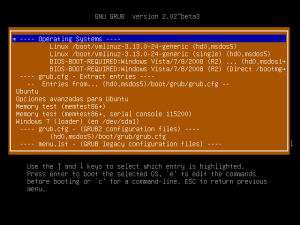 Updated grub 2.02 build to tag: 2.02~rc2 . This is the release candidate for final stable 2.02 upstream Grub release. Please use this build to give them (upstream Grub) feedback on this version. It’s advised to ask here before reporting to them so that we discard the bug being a Super Grub2 Disk specific one. Thanks to a Necrosporus suggestion now default theme starfield is no longer included. Images are now smaller. E.g. the hybrid image size it’s 19.3 MB while former version image size was 22 MB. Super Grub2 Disk 2.02s7 stable is here. 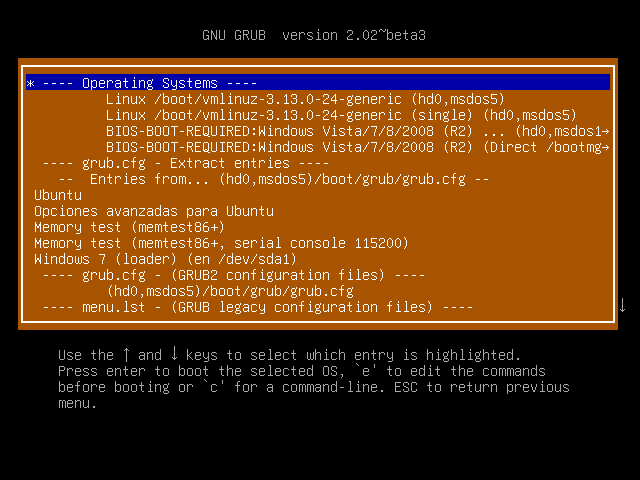 Updated grub 2.02 build to tag: 2.02~rc1 . This is the release candidate for final stable 2.02 upstream Grub release. Please use this build to give them (upstream Grub) feedback on this version. It’s advised to ask here before reporting to them so that we discard the bug being a Super Grub2 Disk specific one. Fix md5sum files associated to iso files so that they don’t have to full path. I want to focus on Rescatux development on the next months so that we have an stable release before the end of 2017. Now I need to finish adding UEFI features, fix the scripts that generate Rescatux source code (difficult) and write much documentation. Super Grub2 Disk 2.02s6 stable is here. Most of you won’t need this image. There are very few machines which specificially need i386-efi boot. Now the hybrid iso is even more powerful by being able to autodetect i386-efi and load its modules. Grub itself is translated when a language is selected. Some people would like to be able to chainload into Super Grub2 Disk scripts from another Super Grub2 Disk or a custom Grub2 Disk. Now you can do it by doing a configfile to our loopback.cfg. However this way of working is not officially supported. So do not ask for support if it does not work as you expect to. bfree (Niall Wash): For his work in readding the i386-efi support and for being there when I did live development streams. jim945: For his work on Russian language and improving Arch Linux initramfs detection. schierlm: For his pull request for adding loopback.cfg support. The person who writes this article is adrian15 and he added some scripts for easing official releases. Use new upstream Grub release. We still use the upstream 2.02 beta 3 version. According to a recent announce a new Grub will be released on next February.